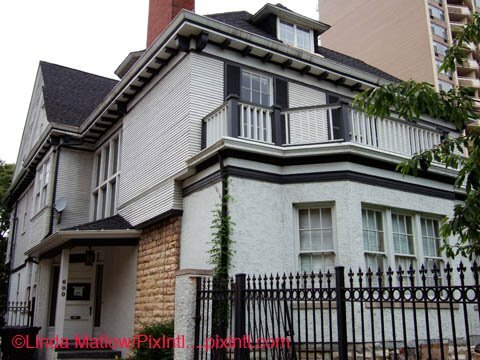 This noted frame house was built in 1888 for Canadian born insurance magnate George M.Harvey.Poised on a nice size lot at 600 w.Stratford Place in Lake View the owner has applied for a demolition permit and plans are in the works for the home to be replaced by 8 to 10 condos. Area residents are fighting the demolition which could happen this summer. Photo © Linda Matlow/PixIntl. all rights reserved.Photo may not be used or published without written permission from owner.